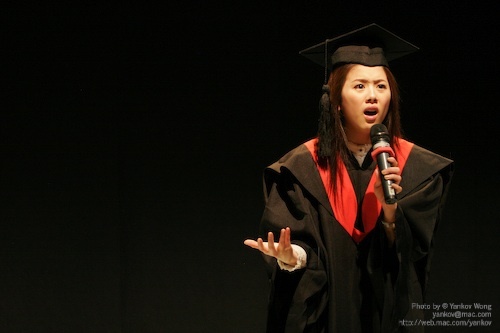 Photos from various productions of my plays. 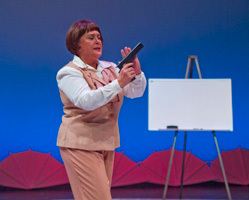 Sally Bondi in GUNS DON'T KILL at Miami's City Theater. 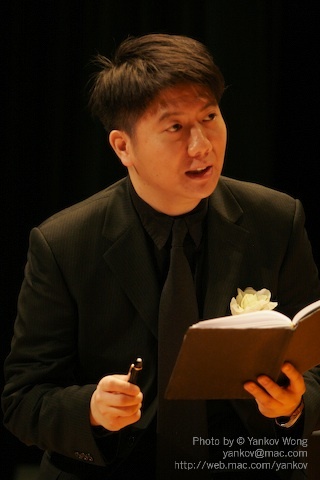 It was part of their Summer Shorts - Undershorts production in the summer of 2008. The June bride has second thoughts. A softball game in August. 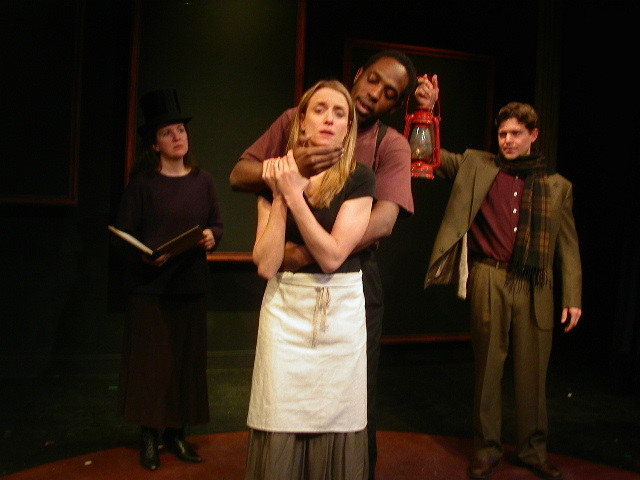 From the Metropolitan Playhouse's production of "MANHATTAN DRUM-TAPS," with Margot Avery, Jane Petrov, David Mitchell and Scott Wood. It was directed by Marie Louise Miller. This is a picture of the production of my play TRAIN OF THOUGHT from November 2005. The cast included: Scott Katzman, Missy Hall, Nancy Wu and Michael Rhodes. It looks like an Atrainplay, but it was actually written for the 24 Hour plays. Missy and Nancy are regular Atrain performers, and Michael has written for theAtrainplays. 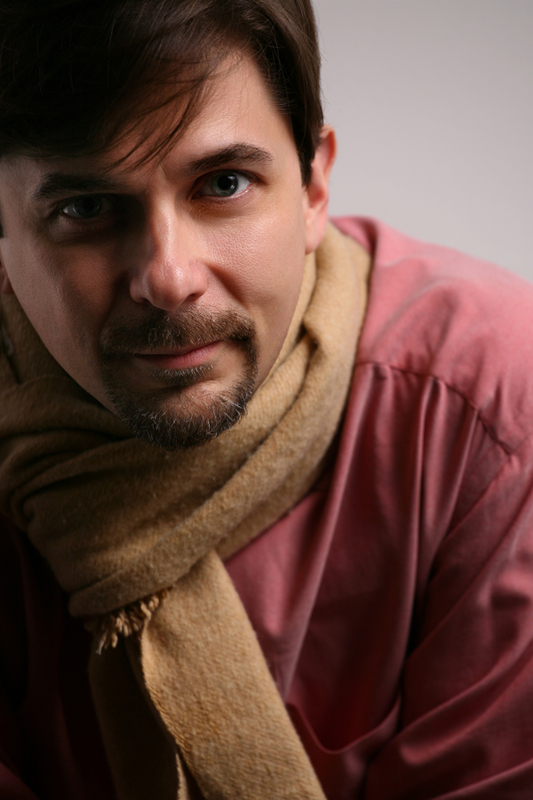 The production was directed by Chris Maring. 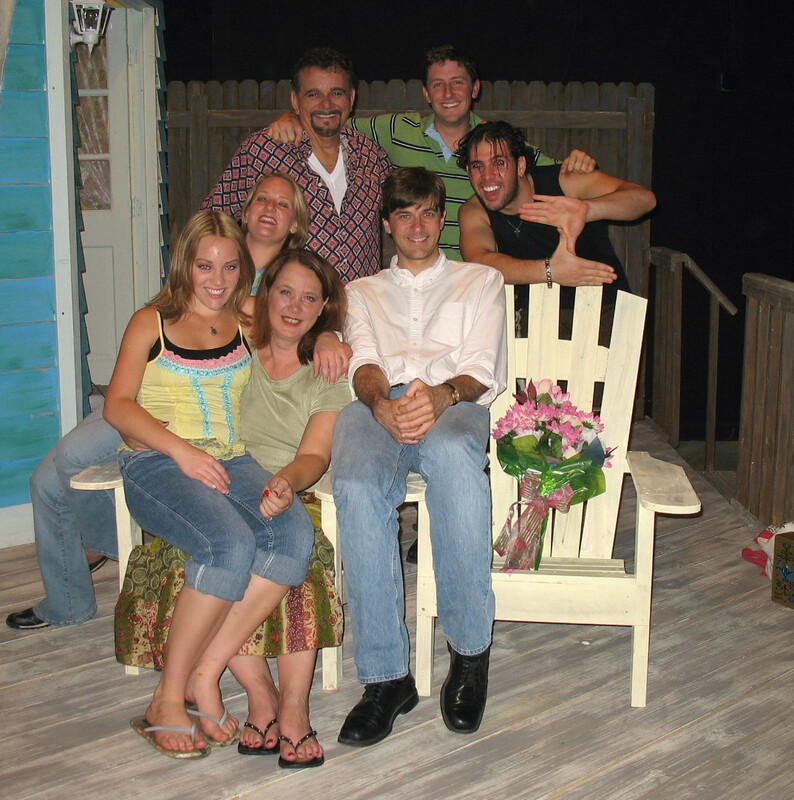 Me and the cast of THE DUNES from the workshop production at the Venice Little Theatre in March 2006. From left to right: Shannon Kelsey Strischek, Laurie Colton Farrar, Lori Chase, David Boza, me, James Hutchinson III and Nidal Zarour. 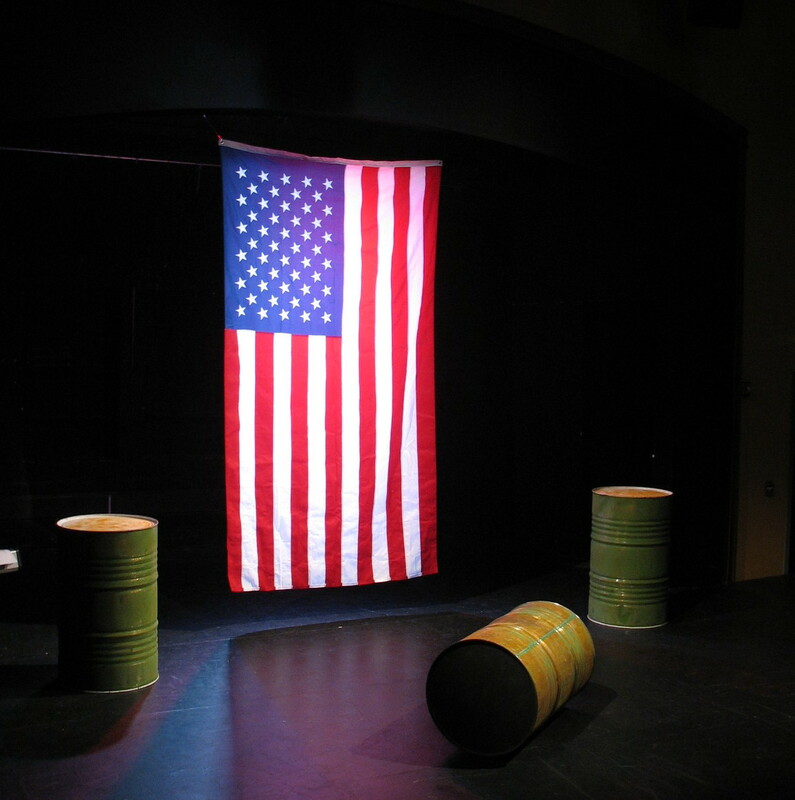 The set for "Letters to Baghdad" in Portland, Maine. This was the third of Caitlin Shetterly and the Winter Harbor Theatre's "Letters to..." series. I wrote a monologue, IN A WORD, performed by Sarah Jane Casey, and a scene, WHAT PRICE?, performed by myself and Farah Bala. 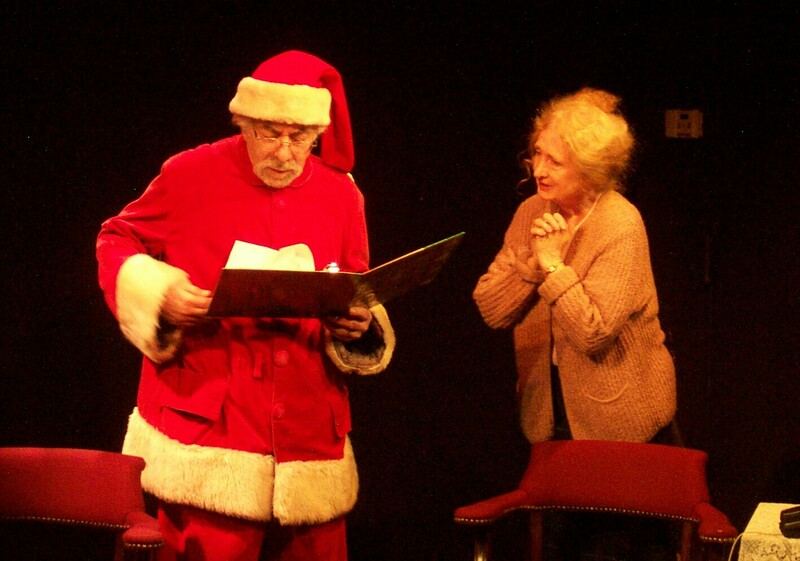 Marvin Starkman and Patricia Guinan in THE LAST DECEMBER at the Jewel Box Theatre in New York in November 2004. The play is part of my collection LIFE IS SHORT.